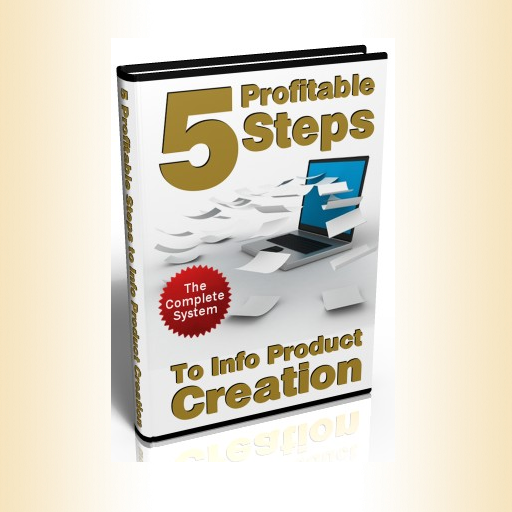 With this wonderful and very useful app “5 profitable steps to info product creation”, it has now become extremely easier to make info product creation and edit the private label rights products. 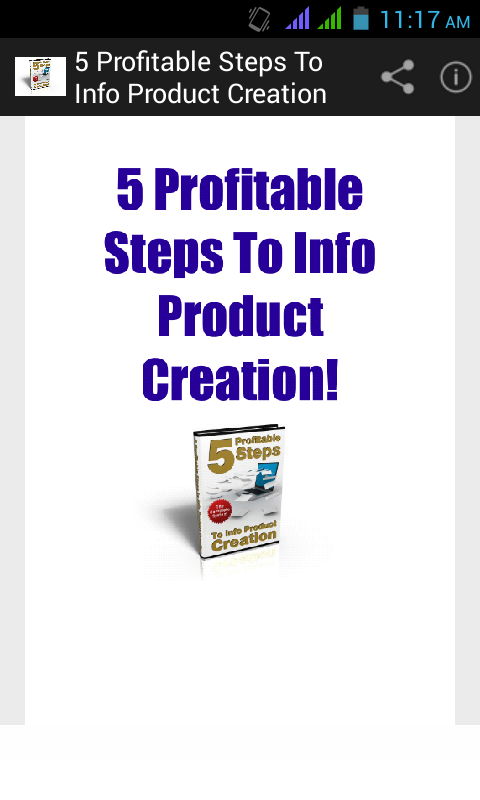 In this ebook app, you are going to discover the 5 top ways to info product creation successfully without struggling with editing product creation plr. Knowing how to write an ebook or create any sort of product along with a key knowledge to use it in a way that guarantees success with every step can be of great benefit for all those planing to improve their business sales and profit. Now, accomplishing your goals of having your own product is easier and with these 5 steps app, we make it absolutely drop dead simple for you because it helps you learn to do it all with PLR or your doc files. Building an information product or starting an information product business is the fastest way to succeed in the industry as it helps others to get what they want in their life. The demand for creating and selloing information products has recently increased to a great extent with several forums filled up with conversation about launches and techniques to do so in the correct way. 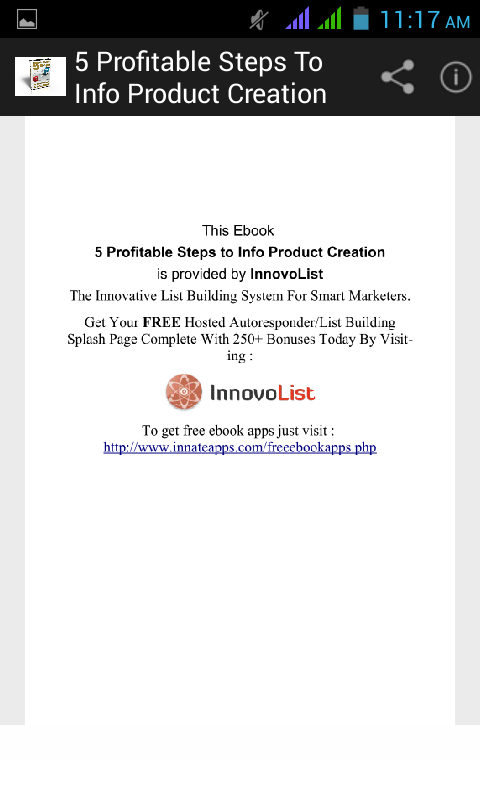 To ensure each one of you get to the right way and succeed in private label rights products creation and selling, we have developed this app which is a complete ebook with the top 5 profitable steps to info product creation. This app is easily available at Google PlayStore and Amazon AppStore for free. Get this book now for free! Step 3: How To Be Sure That Your Product Will Make Money ! 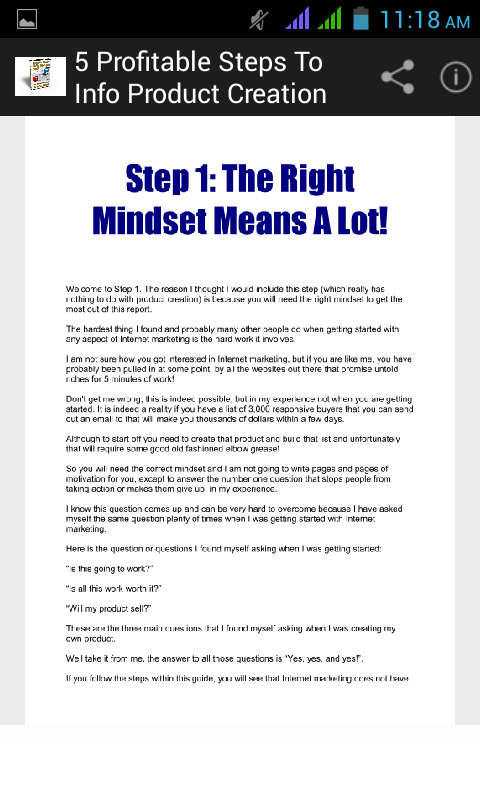 Step 5: The Secrets To Writing The Content For Your Ebook With Ease!